I thought I would point that out in case you didn’t know. Last night, my Mom took her shower and threw her nylons on her dressers. She went in the bedroom about an hour later. Her nylons were gone. She found them on the floor by the bed. They were soggy and their was a hole in the toe. I wonder who could have done a thing like that? 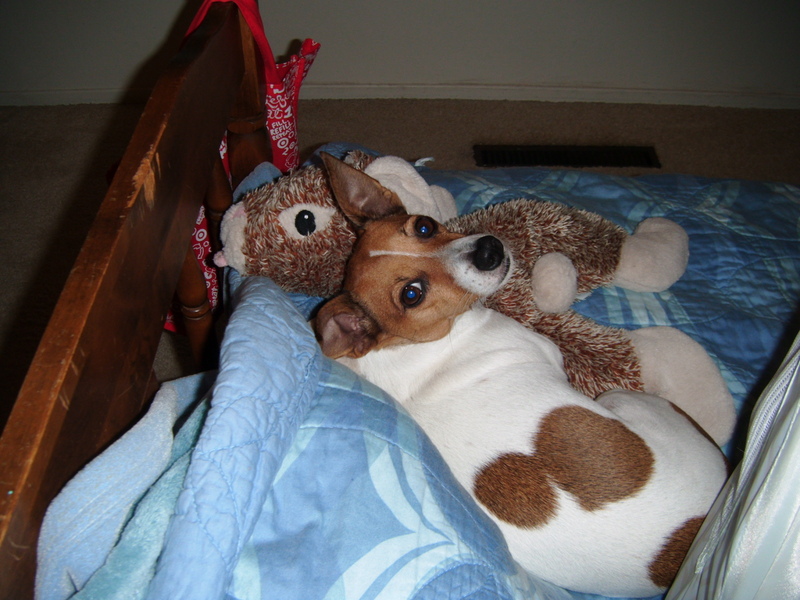 Not this innocent Jack Russell hanging out with her bunny!